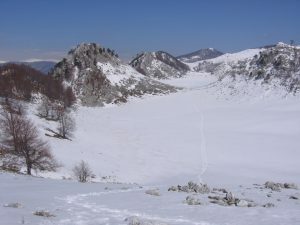 The Cerna Valley has the appearance of a longitudinal aisle separating two distinct mountain ranges . 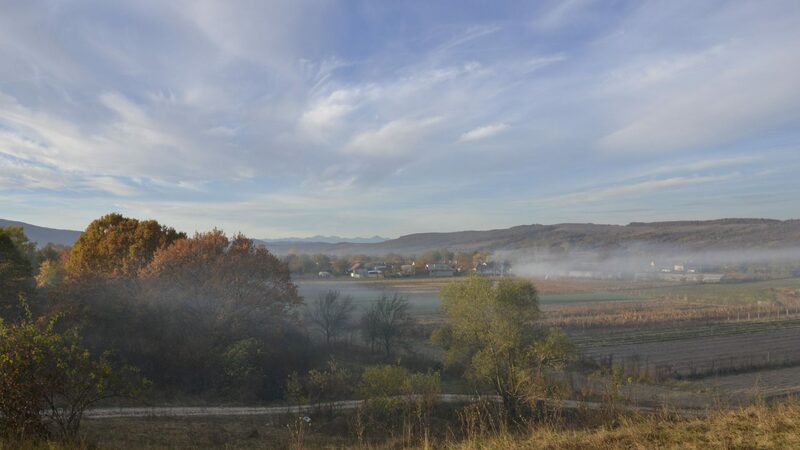 On the right side of the valley runs the Godeanu Mountains and the Cernei Mountains further to the confluence of the Cerna river with Belareca. 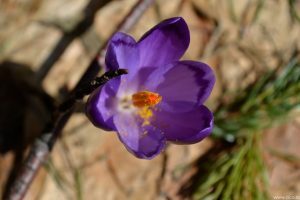 In the Godeanu massif there are predominantly rounded summits and smooth and slightly curved surfaces, which contrast with the steep slopes of the valleys, the highest altitude being reached at the peak of Gugu (2291), the highest peak in Banat. 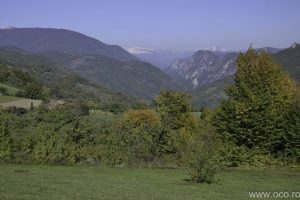 The Cerna Mountains represent a continuation of the Godeanu Mountains, joining Cerna on the right side about 40 km, from theValea Olanului to its confluence with Belareca. 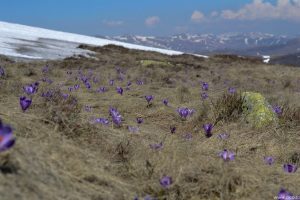 From Valea Olanului to the Valley of Bedina we encounter a high step consisting of a succession of heights between 1500-1800 m: Vlascu Mare 1668 m, Vlascu Mic 1733 m, Zglivar 1708 m, Arjana 1512 m. South of Bedina Valley we meet the lower stage ending with heights of up to 500 m as a terminal part of the Cerna Mountains. 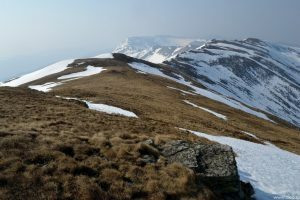 Peaks sculpted in erosion and limestone vsediments are shorter and stepped. 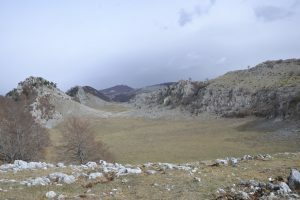 Towards the Cerna river, valleys are deeply fragmented by water, with limestone rocks that shelter many caves and sometimes even with inaccessible walls. 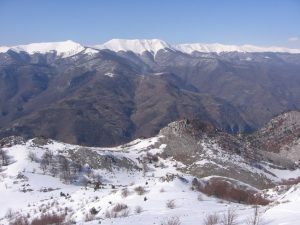 The Mehedinti Mountains are Cerna on the left side, with heights that generally hold between 1,000 and 1,200 m, except for the peak of Stan (1466 m) and the Closan Rock (1,421 m) which exceed the 1400 m elevation. 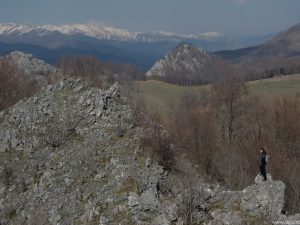 Between Stan”s peak and Domogled peak lies the largest limestone surface in the region, bordered to the Cerna River by a steep 400-600m fragment of karst valleys such as Plostina, Tasna, Padina Seaca, Jelarau, Feregari with keys narrow, hard to reach. 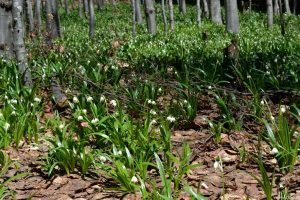 In this area you will find the most varied and beautiful karst forms, fields of lakes, dolines and poles that appear in the form of depressions (Beletina, Poiana Cerbului, Poiana Musuroaie), keys (Tasna, Jelarau, Feregari), waterfalls (Cociu), caves. 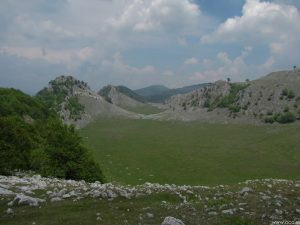 To the south of Balta Cerbului the limestone ridge is maintained at altitudes of over 1100 m, being formed by small massive ties between them. 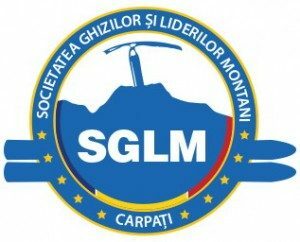 In this area is the massive Domogled (Domogledul Mare 1105 m and Domogledul Mic 1099 m), the most important crest perpendicular on Cerna. 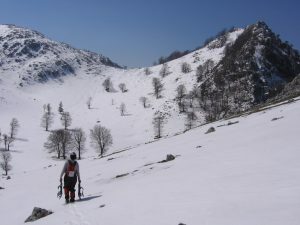 The peculiar feature of the Cerna Valley is the presence of a series of heights that align the valley, when on the other side, when the other is called ciuceve and geanturi respectively. 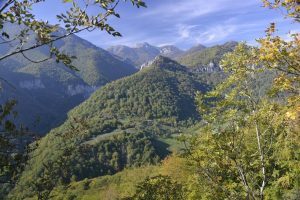 Ciucevele enters the landscape as small, limestone massifs and first aligns Cernisoara, then Cerna, on the left and then on the right gradually decreasing as altitude. 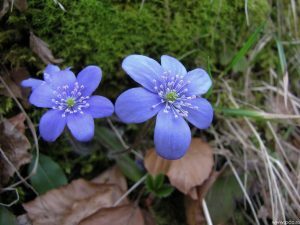 Geanturile are similar to those of Cerna Sat (Gorges of the Corcoaia), up to the Arsasca Valley, with heights of about 900 m and dominating the valley with 400-500 m level differences, fragmented by narrow valleys and wild canions. 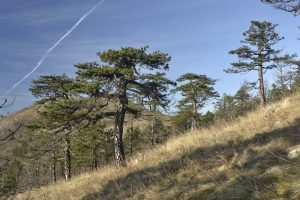 Summer is the most common hiking season especially during June – October. Winter hiking can be done on snowshoes. For more details and organizing the tours you can contact us.